Updated | Today the UK courts have made two decisions in relation to radical Muslim clerics. The score card reads: Abu Hamza can keep his passport and stay (for now), but Dr Zakir Naik, an Indian preacher who was excluded from the UK by the Home Secretary in June, will remain unwelcome. 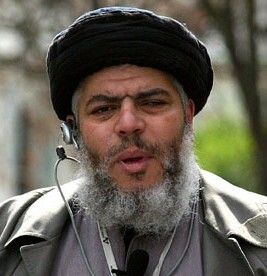 The Special Immigration Appeals Commission has ruled that Abu Hamza can keep his UK passport as if a deprivation order were made, he would be made stateless, as he claimed he had already been stripped of his Egyptian citizenship. By section 40 of the British Nationality Act 1981, the Secretary of State cannot make a person stateless. The UK is trying to deport him altogether, but his claim is being heard at the European Court of Human Rights (see our post). Meanwhile, the High Court has ruled that the exclusion of Dr Zakir Naik, an Indian television preacher and president of the Islamic Research Foundation, was lawful and was a proportionate interference with freedom of expression rights. He was blocked by the Home Secretary from giving a lecture in June as a result of his alleged support for Islamist terrorism, Osama Bin Ladin as well as his comment that Jews are the “staunchest enemy” of Islam. He denies that he supports terrorism. 89. In my judgment Dr Naik was not accorded the procedural fairness to which he was entitled prior to the Secretary of State’s decision on 16 June. The decision letter of 17 June reflects that, in that it focuses on the application of the unacceptable behaviours policy to four statements, only one of which was plainly before Dr Naik so that he could address the concern surrounding it and point out, for example, that it pre-dated the events of 9/11. By the time of the further decision of 9 August, however, Dr Naik had had a substantial opportunity to make representations about the basis on which the Secretary of State affirmed his exclusion. That 9 August decision thus survives the procedural fairness challenge. In my view it also survives the other challenges advanced against it, for the reasons I have explained. Dr Naik could not have had a substantive legitimate expectation that he would be permitted to continue to visit this country, and any interference with the article 10 rights of Dr Naik and his potential audience is lawful and proportionate. The result is that the Secretary of State’s exclusion of Dr Naik from the United Kingdom is lawful. We will cover both cases in more detail next week. Update, 9 November 2010: The Israeli newspaper Ha’aretz has published an interesting comparison of different international approaches to revocation of citizenship. A new law proposed in Israel will allow for people to be made ‘stateless’, which is not permitted in Europe and indeed is why Abu Hamza’s passport could not be revoked. Bro, I don’t follow Muaweeya, neither I think does the majority of muslim. I follow our Prophet Muhammad s.a.w. In fact i did not know this chap Muaweeya until you mention him. We respect Hazrat Ali, however at the end of the day, our Prophet Muhammad s.a.w is more important than Ali. The Shia community has given Hazrat Ali so much importance to the point where they’ve elevated him to the same rank as our Prophet Muhammad s.a.w if not higher. I’m a muslim and I follow the guidance of our Prophet Muhammad s.a.w. I follow the Quran and the Hadith. I think that applies to the majority of muslims and inc Dr Zakir Naik. This is my point that you, majority Muslims and Zakir ignorantly follow Muaweeya without knowing it. In your first posting you called Muaweeya follower of Muhammad and now you are distancing from him. Shia did not raise the status of Ali. Muhammad himself raised it and it is written in your Sahih books. By ignorance you do not know it. After completing his last pilgrimage (Hajjatul-Wada’), Prophet [s] was leaving Makkah toward Madinah, where he and the crowd of people reached a place called Ghadir Khumm (which is close to today’s al-Juhfah). It was a place where people from different provinces used to greet each other before taking different routes for their homes. The last sentence in the above verse indicates that the Prophet [s] was mindful of the reaction of his people in delivering that message but Allah informs him not to worry, for He will protect His Messenger from people. The above verse clearly indicates that Islam without clearing up matter of leadership after Prophet [s] was not complete, and completion of religion was due to announcement of the Prophet’s immediate successor. i think UK govt. is scared seeing countinious growth of Muslims! Dr. zakir naik was clearly qouted out of context ! How dumb tht UK judge is ! even a 3year old can say he was anti -terror. I’m with you on that Bro! I got it – you are from the Shia community. Following of Muhammad is Islam not following of Ali. Muaweeya is a follower of Muhammad therefore his followings would be that of Islam. Nice 1 Bro. Educative answer indeed! There are many hadith making it imperative on the umma to follow Ali. One of them is narrated by Ammar-e-Yasir, which your following ulema have recorded in their books: Hafiz Abi Nu’aim Ispahani in Hilya; Muhammad Bin Talha Shafi’i in Matalibu’s-Su’ul; Baladhuri in Ta’rikh; Sheikh Sulayman Balkhi Hanafi in Yanabiu’l-Mawadda, Chapter 43, from Hamwaini; Mir Seyyed Ali Hamadani Shafi’i in Mawaddatu’l-Qurba, Mawadda V; Dailami in Firdaus. They narrate a lengthy, detailed hadith which cannot be related here in full. It may be stated briefly that when people asked Abu Ayyub why he had gone to Ali and had not sworn allegiance to Abu Bakr, he replied that one day he was sitting with the Prophet when Ammar-e-Yasir came in and asked the Prophet a question. In the course of his conversation, the Prophet said: “O Ammar! If all the people go one way and Ali alone goes the other way, you should follow Ali. O Ammar! Ali will not allow you to diverge from the path of guidance and will not lead you to destruction; O Ammar! obedience to Ali is obedience to me, and obedience to me is obedience to Allah.” In light of these injunctions, and in light of Ali’s opposition to Abu Bakr, shouldn’t people have followed Ali? Even if the Bani Hashim, Bani Umayya, distinguished companions, the intelligentsia of the nation, the Muhajirs, and Ansars had not been with him (and they were with him), people should have followed Ali. Read character of Muaweeya from your books. Would the Devouted Muslim Chap be a bit more elaborate. Hw gave us a history lesson however i can’t see how it relate to how Dr Zakir Naik is. Some facts to prove your statements will be welcome. As far as I can see, Dr Naik’s exclusion is a political statement from the new govenment. He does not stand a chance of fighting the British govenment in their own back garden. According to Theresa May, it’s a priviledge to be in UK – would like her to tell us what that priviledge is? ALso, Dr Naik has been in UK countless time before – I can’t see any adverse effect from those visits. His views are easily available on Internet and TV anyway. What are they going to do about that? I would question the state of the British Judiciary over the last few years in making such ridiculous decisions on harbouring potential terrorists in the UK. Law Lords are far too out of touch with reality and indeed put the security of the British people at risk and indeed waste taxpayers money by accomadating them in British jails. I am a devoted Muslim. For me both Abu Hamza and Zakir Naik are EVIL and they should be treated like that. BOTH ARE IGNORANT OF ISLAM. BOTH DO NOT KNOW QURAN. If they are BOTH ignorant of Islam and BOTH do not know the Qur’an, then why is the Government picking on them! Since you are a “devoted Muslim”, you must know that the same happened to the prophet at his time. was he EVIL too! Tell me Brother “Devoted Muslim”, is calling people to Allah, their creator, EVIL! And the level of professionalism Dr. Zakir Naik has in calling to that way and the amount of people listening and changing their lives thereafter is proof enough that he is NOT IGNORANT OF ISLAM. The one who is out there defending the Qur’an while you sleep tight, most definitely KNOWS the Qur’an MORE than you. What will you say to Allah That Day, when he asks you what role you had to play in preventing my message from spreading into the world? Dear Brother, please think again. Let’s UNITE as Muslims brother. They’ll take us down one by one and eventually come for us ourselves, and then we won’t have any helpers because we helped them ourselves to destroy those who could come for our help when we need them the most. I hope you understand my Brother. Brother- Is this your argument? That a corrupt Government is after them? I compare Zakir Naik to Iblees. Iblees has more knowledge of Islam than Zakir. Zakir does not know ABC of Islam. He and you and most of the rest of so called scholars do not know who changed them to Ahle-Sunnah wal Jamait instead of Muslims. Let me give you a history lesson. After the death of Umer, a small selected council of Muslims were to appoint new Khalifa. on the condition that new Khalifa has to follow the sunnah of previous Khalifa. Ali rejected that condition and Usman accepted that condition and Usman was appointed the Khalifa. When Usman was killed, Muaweeya (I still could not find the date of his conversion to Islam-but false Hadiths about his being a Sahabi and scriber of Quran) had to rally people against Khalifa Ali. So he told his followers that Ali does not follow the sunnah of Abubaker and Umer while he does. He named his followers Ahle-Sunnah. Muaweeya fought against Ali and then by fraud he made a pact with Ali. At that point he added the words wal Jamait. You, he and majority of Muslims follow the sunnah of Muaweeya NOT MUHAMMAD. Since then so called Muslim governments adopted the sunnah of Muaweeya because it was protecting their rule. So you, he and most Muslims are followers of Muaweeya NOT Muhammad. Firstly, it’s a shame that you did not reply, and you simply COULD not reply, to even one comment that I made. You said Iblees has MORE knowledge of Islam than Dr. Zakir! Seems to me you are a close friend of Iblees to know that much about him! Since he knows Islam more than Dr. Zakir and you too are a “devoted Muslim”, It sounds to me that you are studying Islam under Iblees himself. And even if Iblees has more knowledge than Dr. Zakir it doesn’t benefit him because he doesn’t follow it or spread it, which are two things Dr. Zakir Naik has devoted his life to. And brother! Why are you telling me History! I didn’t even say anything about that! The fact that you didn’t answer a single of my comments and started telling me things from here and there shows that you INDEED are getting your education from “Molana Iblees”. This man foments racial hatred & terrorism. If he has been stripped of Egyptian citizenship, then let him be stripped of British. Hitler had the same ideals, Lord Haw haw hung for it, why tolerate the likes of this one?